Legume Hay vs Grass Hay: Which One Should you be Giving Your Horse? Equine nutritionist, Shannon Pratt-Phillips, PhD., discusses the pros and cons of feeding legume hay and grass hay. 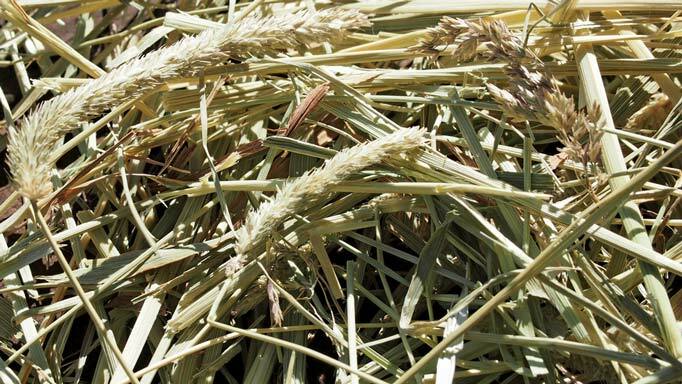 Hay is the result of the cutting, drying and storage of long stem plants, such as various grass or legume species. Grass species include timothy, orchardgrass, ryegrass, fescue, brome and bluegrass; while legume species includes alfalfa (lucerne), clover and birdsfoot trefoil. 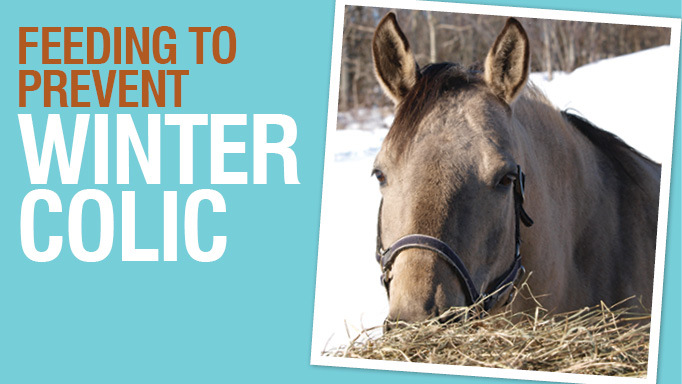 Both types of plants make excellent hay that can be stored and fed to horses when fresh pasture is not available. There are important differences between legume hay and grass hay that directly affect which you might choose to feed your horse. Legumes are different from grasses and other plants because they form a symbiotic relationship with bacteria, rhizobia, in the nodules of their roots. These bacteria are capable of ‘fixing’ nitrogen in the atmosphere and air into ammonia and then ammonium, which the plant can then use to make protein (note that protein contains nitrogen in its amino acids). As such, legumes tend to be a very good source of dietary protein for animals that eat them (including humans, as beans, lentils, peanuts and soybean are all from legume plants). In contrast, grasses cannot obtain nitrogen as easily from the environment and, therefore, tend to be lower in protein. Nutritionally, legumes also tend to have higher levels of energy (calories) per unit weight and more calcium than grasses. For example, above are some average nutritional values of legume and grass hays on an as fed basis (source: www.equi-analytical.com). Just by looking at the excellent nutritional quality of legumes, one might wonder why they shouldn’t feed their horses legume hay. One big reason not to is cost – on www.hayexchange.com, the cost of a ton of hay (not alfalfa) is $132 US, while the cost of alfalfa hay is $181 US. For a 500kg horse, eating 1.75% of its body weight as hay (8.75kg), if you fed alfalfa, it would cost $631.45/year, while only $463.55/year if you fed a grass hay (US prices). 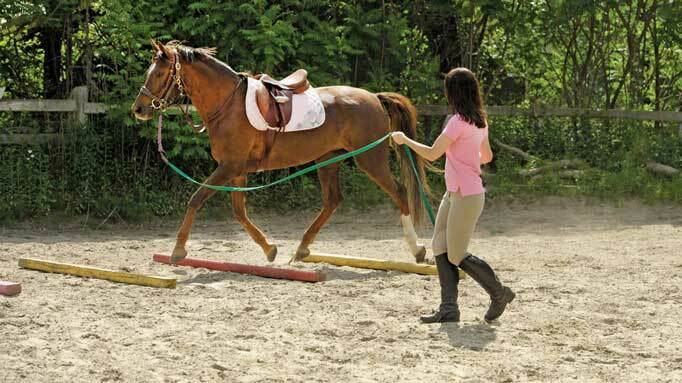 In addition, most horses do not need the high plane of nutrition that legumes offer. Refer to Figure 1 on page 18, which shows the nutrient intakes from both grass hay and legume hay, for several classes of horses, expressed as a percentage of their nutrient requirements (from the National Research Councils’ Nutrient Requirements of Horses, 2007). Based on moderate hay intakes, you can see that grass hay (Figure 1, A) is sufficient in meeting the requirements of many types of horses. In contrast, legume hay provides an excess of both protein and calcium for most classes of horses. If we look more closely at protein in Figure 2, grass hay provides sufficient protein to all classes of horse shown except for growing horses and lactating mares. Again, legume hay provides more than two times the protein required by some horses, though is still low for a growing horse. If protein intake from hay is not being met, one could simply provide more hay, a higher protein hay (some legume, if only grass hay is being offered) or offer another high-protein source such as soybean meal. Now, it should be pointed out that if you were to have a good source of legume hay for a horse with lower requirements (like moderate work), it likely wouldn’t be harmful. Excess protein in the diet can be metabolized and used for energy, but the nitrogen would need to be excreted in the urine. So, feeding legume hay (or another high protein feed) if the high level of protein isn’t needed, not only hurts your wallet, but also hurts your nose! That nitrogen excretion results in additional ammonia in your horse’s stall, which can be irritating to your nose and lungs, as well as your horse’s. Of course, this also requires healthy kidney and liver function in your horse to deal with this excess protein. Ultimately, for the average horse that is at ‘maintenance’ or at work, and not growing or lactating, legume hay is likely not your best choice. 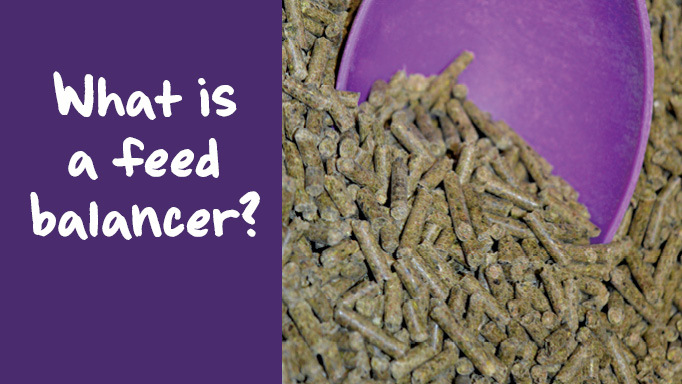 If you do, however, have a horse that is growing or lactating, they have higher nutritional requirements that may benefit from being fed legume hay. It is generally recommended that growing horses are offered free-choice hay, but they should not be offered free-choice legume hay. If offered free-choice, young horses may eat upwards of 2% of their body weight (rather than the 1.5% and 1.75% used in the example). At this intake, young horses could consume too much protein (and energy/calories) from the hay, which could contribute to developmental orthopedic diseases such as physitis. Typically, for growing horses, I recommend free-choice grass hay, supplemented with some legume hay and other feeds as needed, because there are some key amino acids that may not be in sufficient quantity in even the best legume hay. 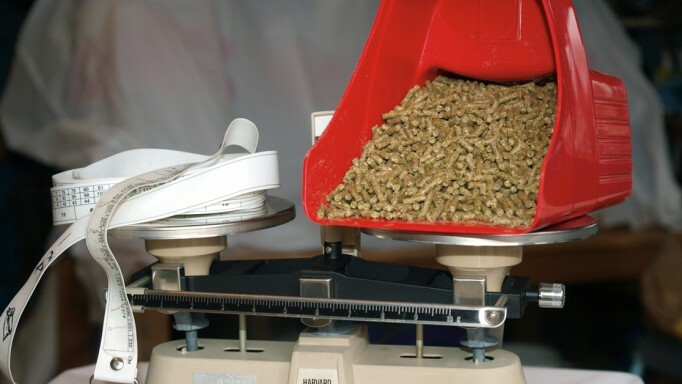 Performance horses may also benefit from some added legumes in their diet, though not for the extra protein. Performance horses are at higher risk of developing gastric ulcers, and the higher amounts of calcium within legume hay tends to buffer the gastric acids and may reduce the severity or incidence of gastric ulcers. To conclude, the choice between grass hay and legume hay depends on your horse and his needs. Legume hay provides a better fit of nutrients for a horse with higher needs (growing, lactating), while grass hay provides a good fit for most horses.